1. Will Lumion work on a Mac, iMac or Macbook? IMPORTANT: Using Lumion on Macs is not officially supported. Act-3D B.V. provides no warranties on any of the functionality in Lumion and do not accept any liability claims arising from the use of Lumion on Macs. Act-3D B.V. recommends running Lumion on Windows PCs as they can be configured with more powerful hardware than Macs which will make editing and rendering significantly faster. A relatively new Mac computer with a fast graphics card. At least 100 GB free harddrive space for Windows 10 & Lumion. Apple's Bootcamp software for installing Windows 10. The latest driver software for the graphics card (see 1.3 below). 1.2: Please also note that older Macs often do not have very powerful graphics cards and will struggle when running Lumion. Please click here to check if your Macs graphics card is suitable for Lumion. 1.3: In addition, Apple's Bootcamp drivers for AMD and NVIDIA graphics cards are often outdated, and Lumion 6.5 and newer might not be able to start on a Mac with those drivers. Please verify that you can install the latest official NVIDIA or AMD driver from the AMD or NVIDIA websites before running Lumion on your Mac. 2. Can you install Lumion on OSX? No, Lumion can't be installed on OSX, and there are no plans to make Lumion available on OSX. 3. 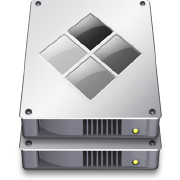 Can you run Lumion in Parallels or VMWare Fusion for OSX? Parallels and WMWare Fusion for OSX are not supported and will cause crashes, glitches and license lock-ups.